Players from Powelltown''s 1989 premiership team. 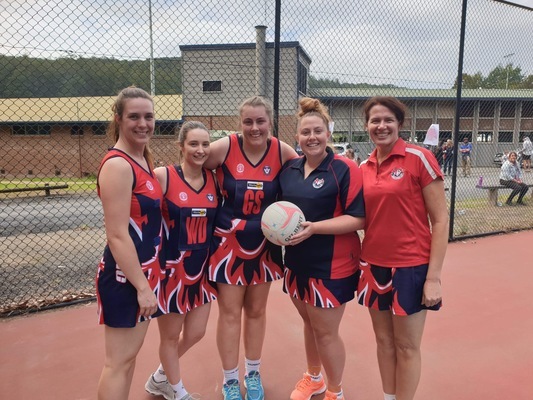 Powelltown Football Netball Club is in the midst of celebrating their 100 year milestone as well as the anniversaries of two successful premiership seasons this year. 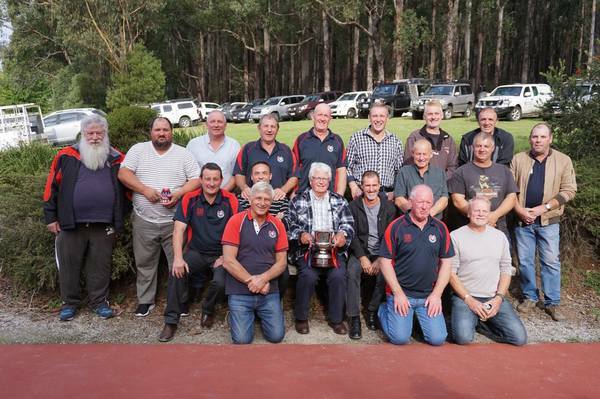 Powelltown FNC held a reunion day for past players on Saturday 13 April, after winning their round one matchup against reigning premiers Yarra Junction. The club will be commemorating 30 years since the 1989 senior football premiership and 10 years since the 2009 A grade netball premiership. Powelltown FNC president Peter Podolinksy congratulated both teams for a hard fought but fair game. 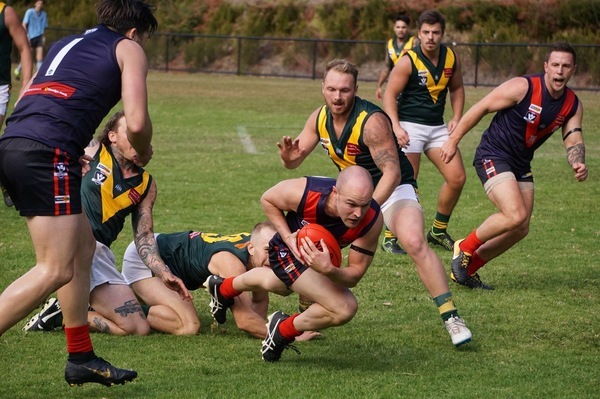 “It was fairly close all day, they (Yarra Junction) got a couple goals ahead early in the first quarter, but it was a cracker of a game,” he said. Mr Podolinksy said that there were only three members from the 1989 premiership team who weren’t able to make it to the celebrations on the weekend. Powelltown FNC plans to host a centenary dinner on Saturday 18 May, where they hope to gather over 200 people to celebrate what the small-town club has achieved for the last 100 years. A small group of club members have worked hard to put together a book sharing the history of the club and the community. The book will be available to purchase from the centenary dinner in May onwards. “It’s not just about the history of the footy club, but how the club evolved with the town. It interconnects with events that happened in the town,” Mr Podolinsky said. Powelltown chose to play Alexandra on the historic round that will mark 100 years for the club. “The reason for choosing to play Alexandra was that both are timber town and both have long associations with the timber industry.” Mr Podolinsky said. Tickets to the centenary dinner are limited. For more information, contact: pfncnews@outlook.com or call: 0467 649 003.